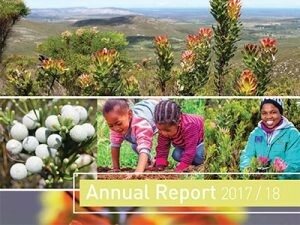 The Flower Valley Conservation Trust’s annual report for 2015 – 2016 financial year has been completed and is now available. 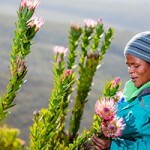 It’s been a year where fynbos conservation has been prioritised from the bottom up: from our work in sustainable harvesting of fynbos, to the work in supporting invasive vegetation management. 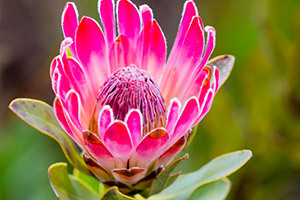 A special thank you to donors, partners and Flower Valley friends for supporting fynbos conservation and sustainable livelihoods during the year. 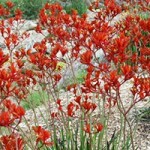 Flower Valley works to protect and secure fynbos landscapes. 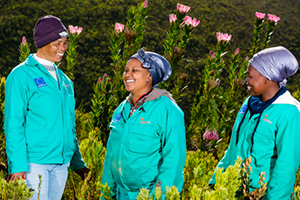 With support from our wonderful donors, we do this by encouraging the responsible picking of fynbos, the improved livelihoods of those working in the fynbos sector, and by working to clear fynbos landscapes of invasive alien plants. Our latest annual report relays our activities over the past year, and the many exciting advances made.